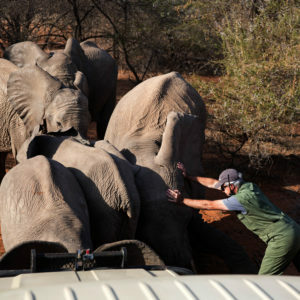 Peace Parks Foundation is proud of the passionate and dedicated teams, on the ground in transfrontier conservation areas daily, fighting the good fight to protect southern Africa’s natural heritage! 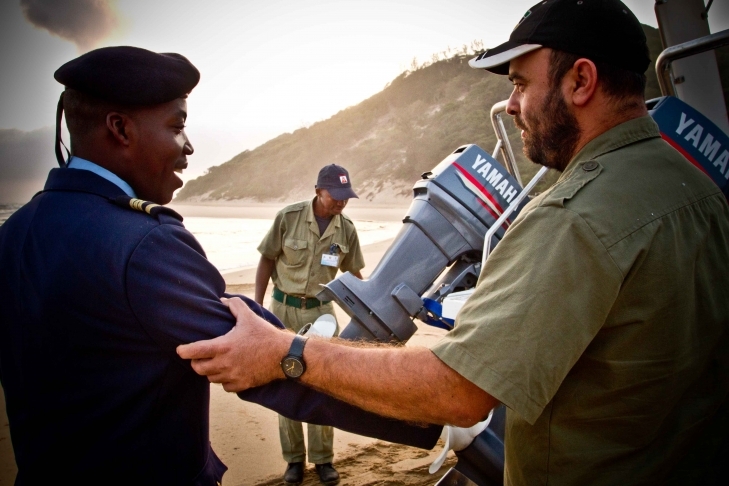 One such ‘nature warrior’ is Miguel Gonçalves, Park Warden of Maputo Special Reserve (MSR) and Ponta do Ouro Partial Marine Reserve (PPMR) – the Mozambique components of the Lubombo Transfrontier Conservation and Resource Area. 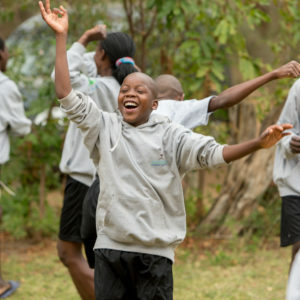 Miguel has just been announced as a recipient of the 2018 African Ranger Award – a prestigious accolade presented by Paradise Foundation International and Alibaba Foundation. 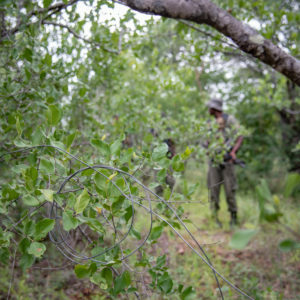 The award honors 50 rangers in Africa who go beyond the call of duty in the battle against wildlife crime and play a pivotal role in protecting and conserving natural heritage and biodiversity. 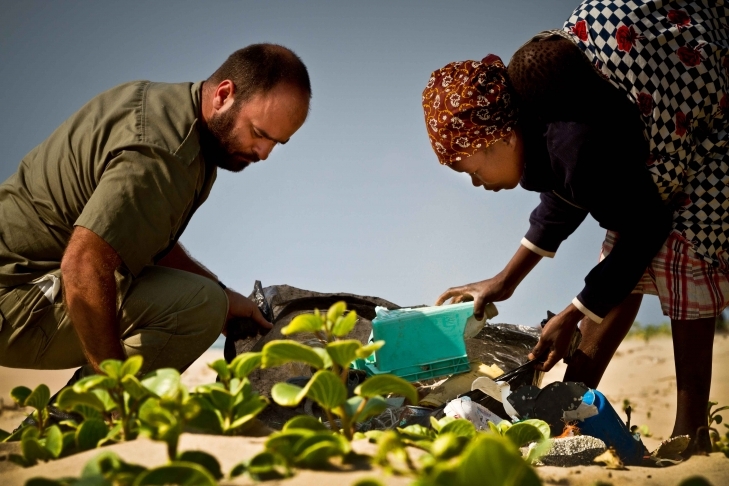 Peace Parks Foundation has had the privilege to work closely with Miguel Gonçalves since 2009 when PPMR was officially proclaimed and Miguel was appointed by Mozambique’s National Administration for Conservation Areas as Marine Manager. Since mid-2017, Miguel took on the additional role of also managing the adjoining Maputo Special Reserve. Nine years ago, newly appointed as Marine Manager, Miguel tackled the problem of the exploitation of marine resources in the reserve head-on. The beach was a highway utilised as a shortcut by locals and tourists alike, while local communities and visiting fishermen were severely exploiting marine resources, and tourism operators ran wild. While attempting to sensitise the locals to new reserve legislation, he and his team of just two marine rangers faced hostility and threats, but Miguel stood his ground and within a short period, curbed illegal activities. Within his first year in this position, he managed to turn the reserve into a well-protected and sustainably utilised marine ecosystem. Today, nobody drives on the beach except for the marine guards who patrol the 100km stretch of coastline daily, whilst fishing and tourism activities are regulated – resulting in a significant reduction in impact on the reefs and marine life. With assistance of the Minister of Land, Environment and Rural Development (MITADER) he also managed to address the issue of illegal infrastructure development on primary dunes, which was causing great disturbance to the ecosystem and erosion of dune structures. He has grown the PPMR team from two to a staff complement of eight, plus 45 community monitors. 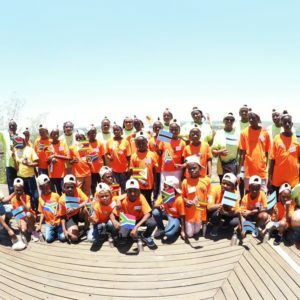 This team polices the coastline with utmost dedication, while developing informed new regulations and legislation for the benefit of the reserve, the ecosystem and communities. The turtle project is Miguel’s pride and joy, and is a true success story! Miguel passionately drives the turtle programme that empowers community turtle monitors to protect the more than 800 loggerhead and leatherback turtles that come to nest on the shores annually. 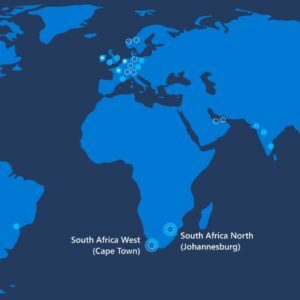 Not only has Miguel formalised the monitoring and protection of these endangered species, but involved local business, private owners and communities to expand efforts along the whole coastline. 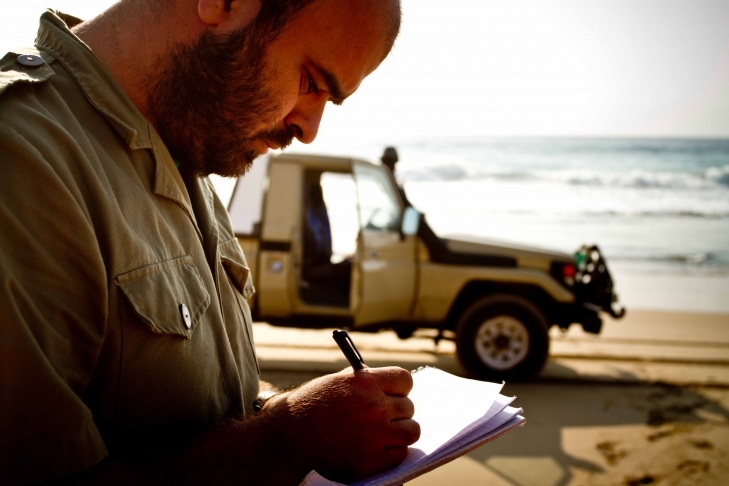 His commitment to this project extends beyond monitoring and policing the coastline; he collects valuable law enforcement and conservation-related data – on turtles, coral reefs, fishing and tourism activities – with findings shared across relevant national and international platforms, enabling long-term analysis and more effective development of intervention plans. Miguel has been leading his team with exemplary precision – working alongside them day and night throughout turtle nesting season, and when most people are on vacation, Miguel manages the crowds in the popular tourist town of Ponta do Ouro. Empowering his team is of importance to him. Miguel ensures that they are upskilled and trained as skippers and divers, thus enabling them to be better equipped to do their jobs confidently. Through his leadership skills and ability to inspire, Miguel has fostered a focused and dedicated team of custodians of conservation, and today he oversees 1,110 km² of protected area and manages 165 staff. Most notably, Miguel has won over the hearts of many of the locals and businesses, generating awareness around the importance of protecting the reserve, and encouraging them to get involved in beach clean ups. He has even managed to get establishments close to the beach to adjust their lighting, which if harsh, confuses the turtles and their hatchlings. An equal measure of dedication is showcased by the assistance he offers the local communities. Through his efforts, a school has been established where children are being taught to read and write in Portuguese. 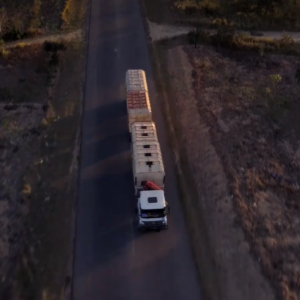 He also transports a doctor and clinic staff to treat people in remote villages on a regular basis and purchases and delivers food to those in need. This has greatly improved the community’s perception of and relationship with him and the rangers. Well-liked and highly respected, Miguel believes in his work and strives to create harmony between people and nature. From all of us at Peace Parks Foundation, congratulations Miguel! We appreciate your hard work, and we are sure, Mother Nature does too! Did you know? 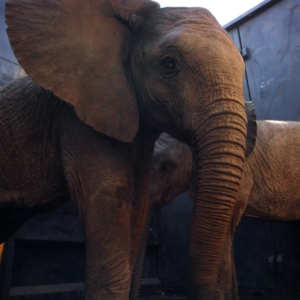 The Lubombo Transfrontier Conservation and Resource Area (Lubombo TFCRA), established in 2002, includes four distinct transfrontier conservation areas between Mozambique, South Africa and Swaziland, covering a total area of 10 029km2. 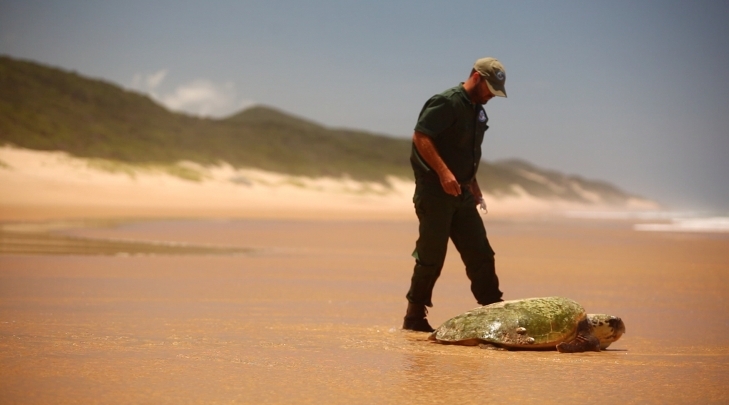 The Lubombo TFCRA boasts the first marine transfrontier conservation area in Africa, the Ponta do Ouro-Kosi Bay TFCA, where Mozambique’s Ponta do Ouro Partial Marine Reserve turtle monitoring programme links up with the one across the border in South Africa’s iSimangaliso Wetland Park – a World Heritage Site. 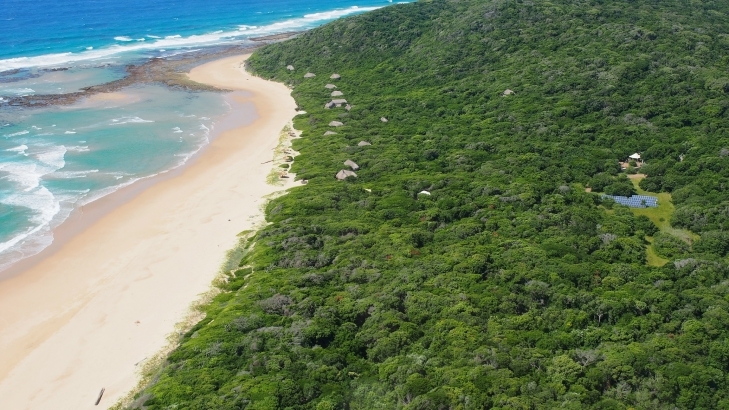 In June 2018, a co-financing agreement was signed by the Mozambique Government and Peace Parks Foundation to jointly develop conservation and tourism activities in Maputo Special and Ponta do Ouro Partial Marine Reserves, that will now be managed as a single structure.